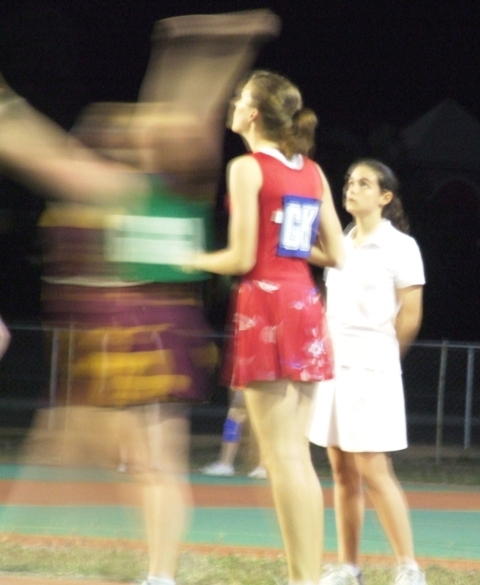 Tonight my daughter was graded on her umpiring skills at netball. 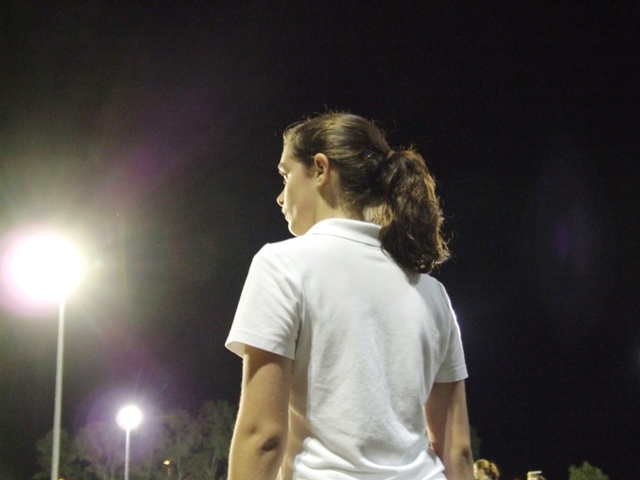 Dressed in white, she ran up and down the court for four twelve minute quarters. She only plays juniors, but was umpiring for seniors with a team of three ladies watching and assessing her. Afterwards one lady told her that they had a sheet of comments for her to review. She felt sure that meant that she had not passed. After several tense minutes they called her aside to tell her that she would be awarded the national c badge. She might not look very big out there, but don’t mess with her…she’s got a whistle. Doesn’t that title sound like I know stuff about something important? NAH I don’t. Yesterday was the Christmas in July market (see previous post). It began at 8:30am and, at 10:00am, when I went to eat chocolate cake with the ever delightful Kirsty I was feeling quite despondent. We had sold NO quilts. So many people had stopped to give us really positve feedback. They loved our quilts, they were beautiful quilts, how clever and talented we were, how reasonable our prices were….yet not one sale. We also had many comments to the effect of ‘I wish that I had a baby in my life so I could buy one of your quilts’. This quilt in particular brought many ooohs and aaaahs – it was adored by many, many people. By the end of the day we had sold five of our quilts. I had handed out MANY business cards and had many people telling me that I would hear from them soon. Some people asked us if we would return to the next market in November because they would look for us then. All things considered this was a good result – we just took a while to get warmed up. An experience like this leaves lots of room for reflection. What did this market show us? 1. 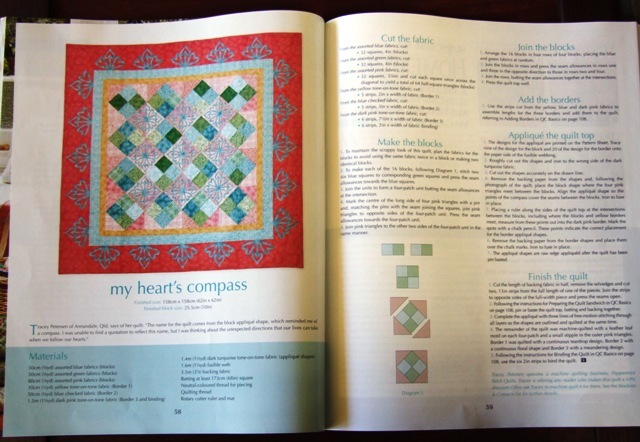 We have a good product – people like the quilts we are making. 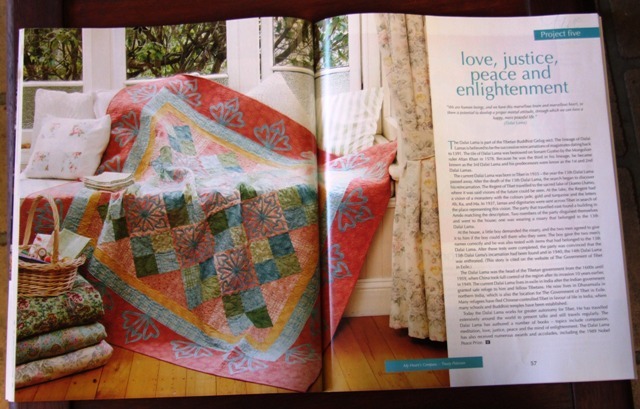 We were called ‘new and refreshing’ etc The quilting itself drew many comments. 2. We have a product aimed at a very specific group of people – babies and those who buy for babies. People do like to spend money on babies, but are those people the same ones who visit a craft market. Where can we best reach those people? 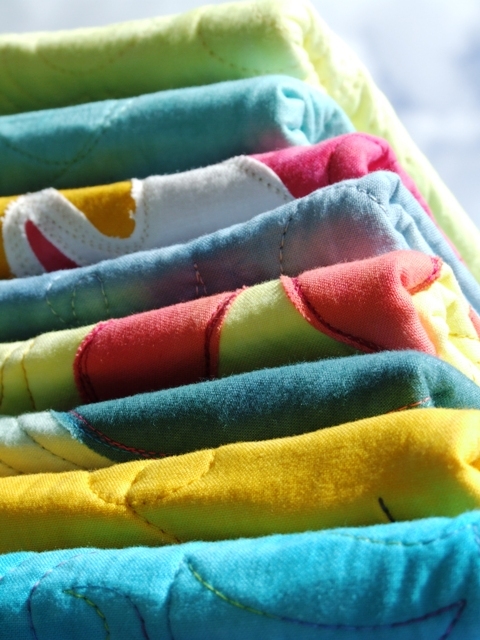 3 How do we price for quality rather than for sales? We think that we should try to cultivate a ’boutique’ image. Our full range of quilts shown all together looked spectacular! Really colourful and bright, very stimulating. 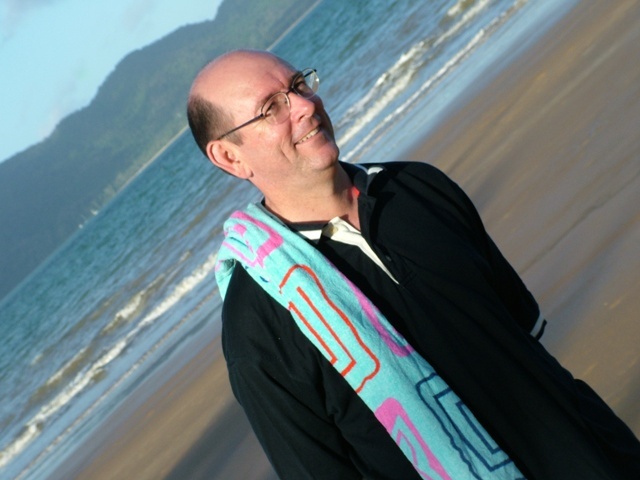 Can you maintain that image at a market when the lady beside you is selling crochet topped fridge towels? If you have any advice or input on these topics please share. The money that we made from this market should allow us to take our quilts in a slightly new direction. Flo and I are in busy discussions right now. Watch this space! 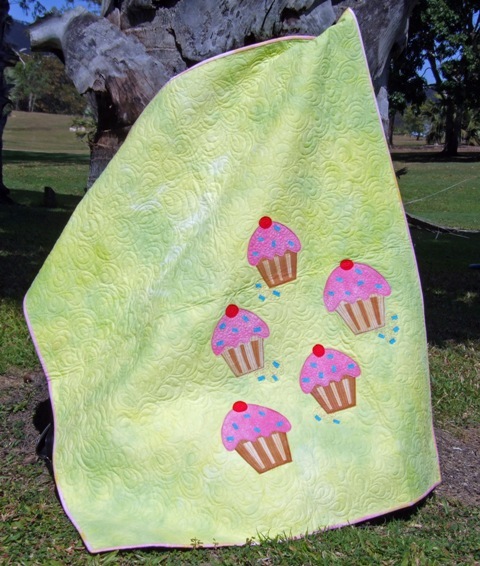 by the way the beautiful cupcake quilt did not sell, even though it drew the most adoration. PS I’m so pretty! Look what my immensely talented photoshopping genius of a sister made for me…a new header. So fancy. Tomorrow is the Christmas in July craft market. Flo and I have taken a stall to sell our Peek-a-Boo baby quilts. I have worked incredibly hard over the past two weeks to get them all quilted. 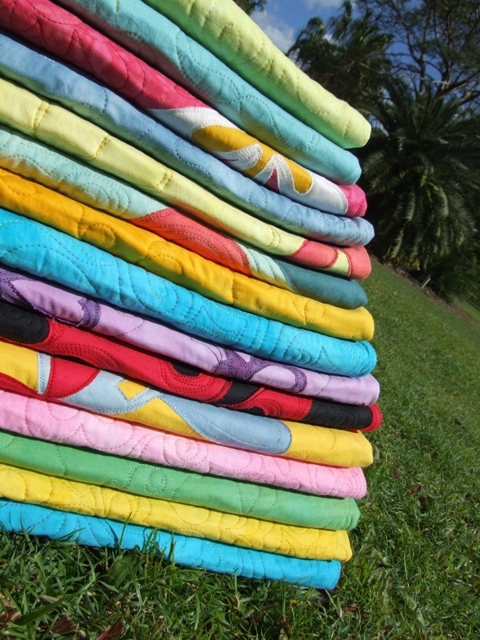 Today we headed off to the Palmetum to take some photos of our finished quilts. When I see these photos it makes all the hard work worthwhile! It is very satisfying to see a pile of completed quilts. I hope that we sell at least some. I flip flop between the thought that we will sell out before the market is over…and that we will sell none….. Either way, I’ll know by tomorrow afternoon. 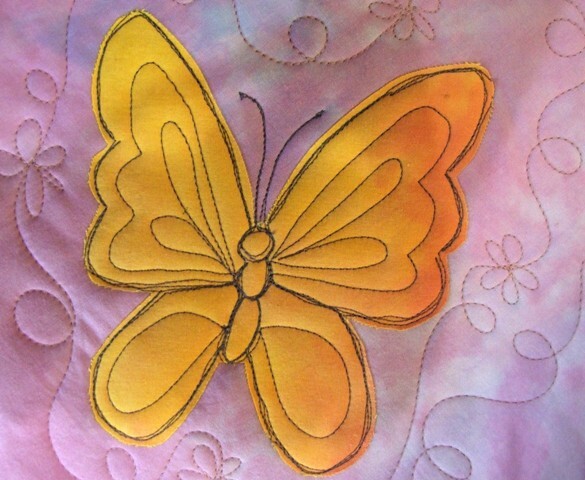 These scribbly butterflies are on one of our quilts. Flo drew them and cut them out of our hand-dyed fabric. 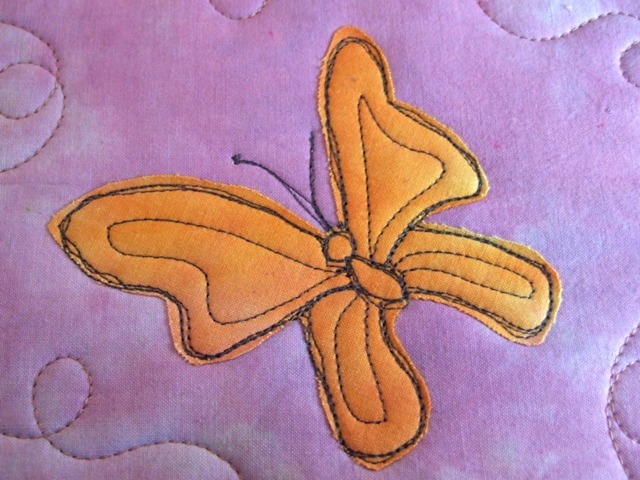 I stitched them freehand with my quilting machine. Today is my Pete’s birthday. I have never been a risk taker. This is due to a mixture of childhood influences and over-riding personality. Yet I married this guy at the age of 20 while we were both at university. To me he represents no risk at all. I knew that when we were 18. He provides challenge, but never risk. He is always my champion. He is the best father to our children. He will do anything for them. He balances me, which is not always easy! He cleans up after I have made yet another mess – again, not always easy. Tonight we will celebrate with dinner and a cultural evening. The Bell Shakespeare Company is performing Macbeth at the theatre. You won’t find us there…we’ll be at the opening night of the Simpsons Movie! MMMMMM popcorn. A song for my Pete. Happy birthday beautiful man. PS just in case you think that is ‘our song’, it isn’t. My Pete says that our song is Tojo by the Hoodoo Gurus. Play it and listen to the first verse. Wicked, wicked man! The quality of magazine photography is just magnificent. I can almost see every stitch! 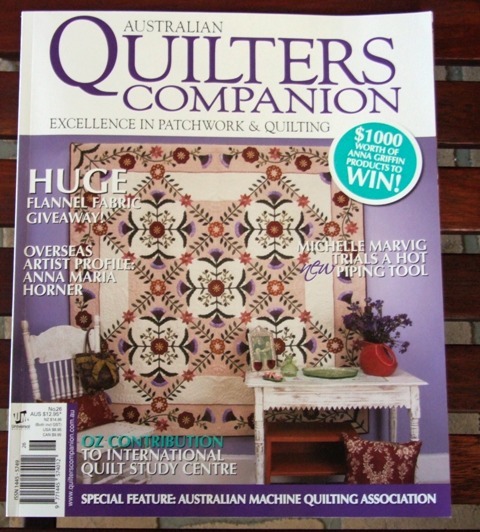 When I saw the magnificent quilt on the front cover I couldn’t help but feel that mine was a little inadequate! WOW! 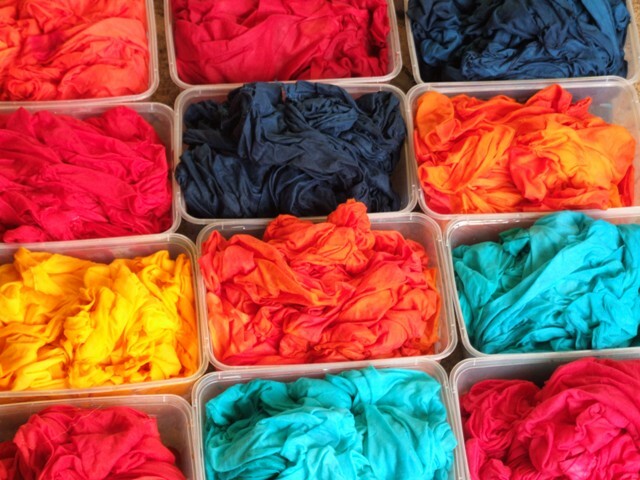 While I’m being quilty, have a look at these hand-dyed fabrics that Flo did this weekend. They almost look edibble. The very best gift that I received for my birthday is a book written in light blue coloured pencil on eight sheets of A4 paper stapled down the side. 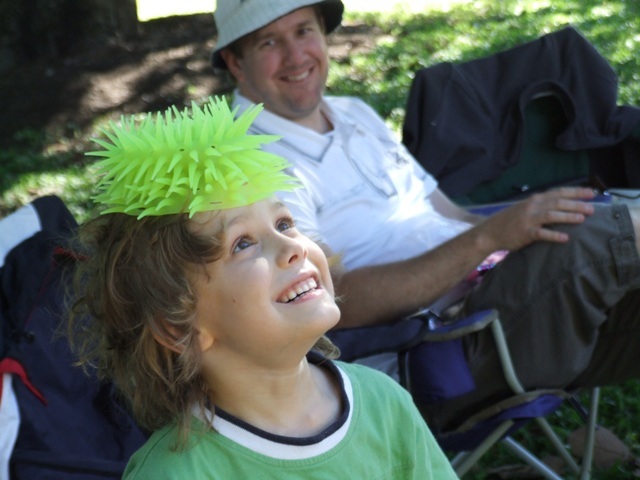 The author (pictured below, with a starving brain sucker) is my nephew, aged six. 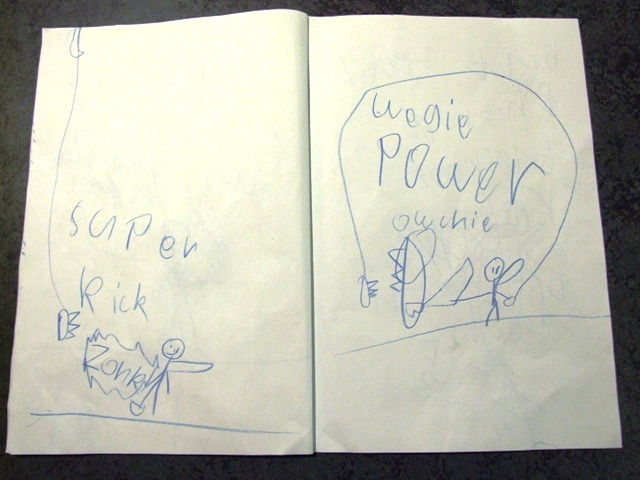 His mother purchased this book from him for $5.00 so that it could be my gift. He tried to convince me that it was worth more, so I should make a contribution too, but I’m too clever to fall for that! He is very entrepreneurial. Here is the story – please note that some of the spelling has been changed. The Incredible Captain Tights and the attack of the Killer Toothbrushes. It was a pretty normal day in Townsville, but not in space. In space an evil planet called toothbrush was planning to destroy Earth. So they took off to Earth in their spaceship. When they landed on Earth they shot a beam and made all of the toothbrushes evil. Who will help? Captain tights will. But just then a big ROAR. A giant toothbrush came out. Tight wedgie! Then the hero called a giant toothpaste. Poison paste. Tomorrow we will rush out to buy our copies of the final Harry Potter book. While I wait for my children to read it I will entertain myself with the adventures of the Incredible Captain Tights. I certainly hope there will be a sequel!